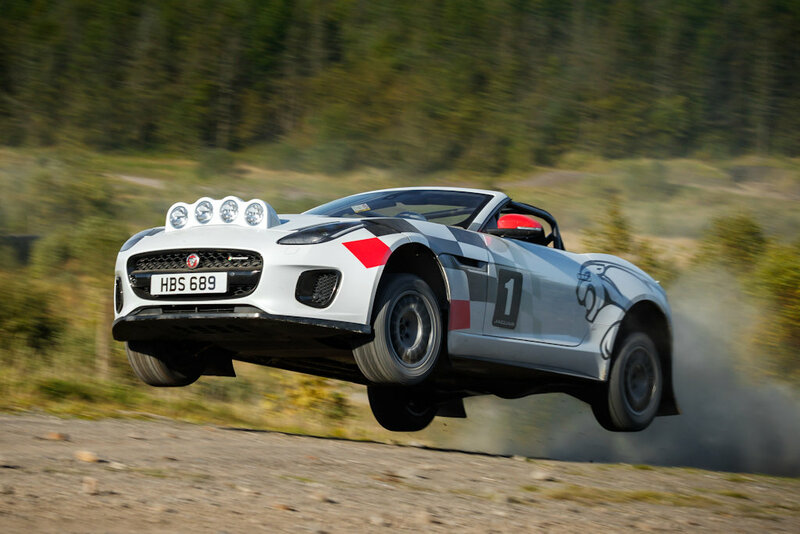 Jaguar is celebrating 70 years of its sportscar heritage by developing a couple of F-Type Convertible rally cars. However, don’t be going to your nearest Jaguar showroom just yet. The British carmaker built just two in celebration of the XK 120—Jaguar’s 1948 sportscar which itself achieved success in the RAC, Tulip, and Alpine rallies. 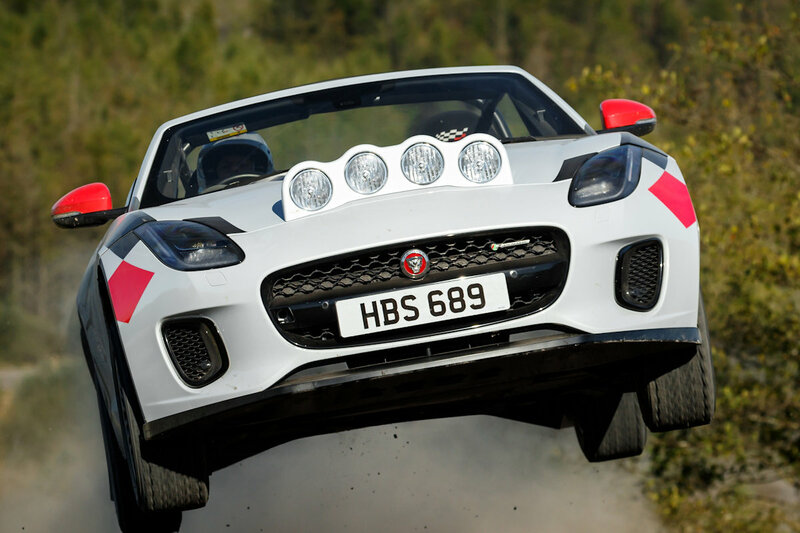 Based on the 300-horsepower F-Type Chequered Flag model (itself a limited-edition variant), these special F-Types were modified for rally duty by Jaguar Design and Engineering. The end result is a car built to FIA specification with upgraded brakes, protective rollcage, racing seats with a 6-point harness, and a hood-mounted light pod and fire extinguisher. The rally F-Types feature grooved disc brakes with 4-piston calipers front and rear. It also has hand-built competition dampers and softer springs ensuring that these high-performance cars can be driven flat-out over rough rally stages. The three-way adjustable dampers allow the cars to be tuned for different surfaces and feature spherical bearings for added precision. It also has motorsport-spec wheels and tires, specifically for use on gravel; a limited slip differential; and a hydraulic handbrake for helping drivers tackle tight hairpin turns.